We will also pawn banjos, ukuleles, sitars and many other stringed and strummed instruments. No matter what type of guitar you have we all know they have a value. Acoustic, electric, six strings, twelve strings, bass, double necks and many other styles, shapes and sizes, there is a pawn loan available for you. Fender, Guild, Epiphone, Yamaha or Gibson. 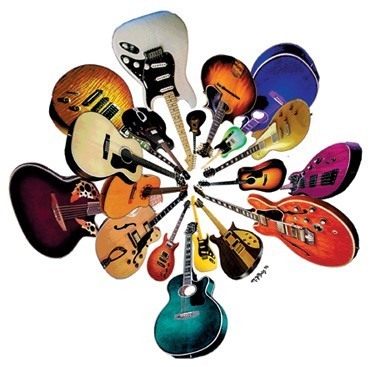 We Pawn Guitars of any make, style and in some cases almost any condition. We do this because we’ d want to let our customer know that we are serious about being THE Numero Uno, Big Kahuna, the Leader of the Pack or simply, the BEST Pawn Shop in Mesa! We know that to many of us, our guitars have a special meaning. Perhaps it was handed down, maybe you are in a band and just need some extra cash to get to that next gig? You don’t want to sell your axe but that extra cash could really help right about now. When you pawn guitars you are actually taking out a short term pawn loan. You have the option to redeem your pawn at any time with no additional charges other than the amount pawned and the interest. Or, if at the end of the 90 day term you find yourself unable or not ready to pay off the pawn, simply pay the interest and extend the pawn or you have the option to see your guitar to us. The process to pawn your guitar is an easy one, you just bring it into our pawn shop, let one of our expert appraisers take a look at it and within minutes they will present you with a free, no obligation cash offer. Should you choose to accept the attractive offer, we’ll simply collect a few signatures from you and then put the cash right in your hand. We’ll put your guitar in our safe, secured storage facility and hold it until you come to pick it up. On another note, if you want your guitar to be extra safe it’s always nice to bring the case down with it too! This allows us to not only store it easier, but will ensure that your guitar doesn’t collect dust over the time it’s being stored. As with any other pawn loan, when you pawn guitars there is always more money available when you bring in amplifiers, chords, cases and any accessories. By the way, we also offer pawn loand on all of your accessories as well. Effects peddles and amps make for great pawn loans. So if you need cash, then bring your guitars in to B and B Pawn and Gold conveniently located and serving Mesa and surrounding areas.